Whenever Steve got his hair cut at the salon, he looked forward to seeing the pretty, sweet stylist: Kait. After a while he asked her on a date, and they chatted non-stop for five hours swapping stories and perusing photos from Kait’s recent Argentina expedition. In their free time, they enjoy cooking together, exploring Longwood Gardens, and visiting various historical sites. Steve popped the question in a creative way last December! They love playing games together, so he incorporated the engagement ring into their game of Monopoly! Kait was shocked when she laid eyes on the sparkly “game piece.” They are exuberant about their September wedding. 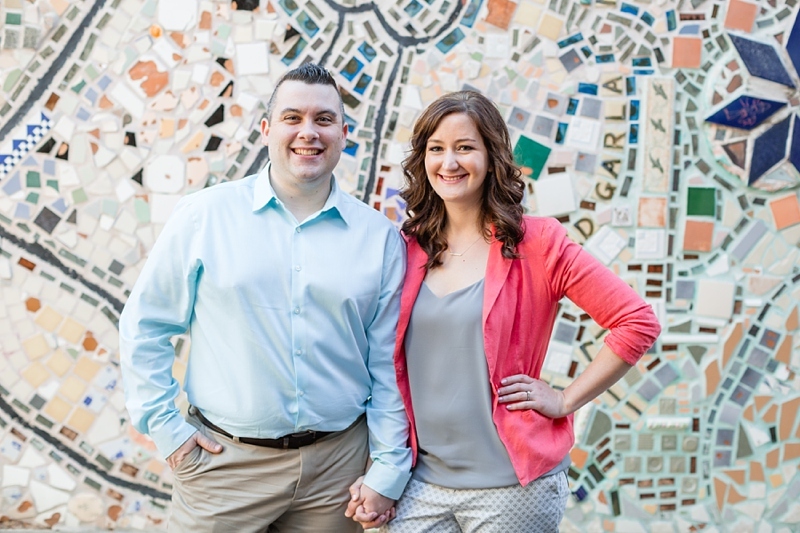 Philadelphia was an ideal backdrop for their engagement session, as it holds special memories. 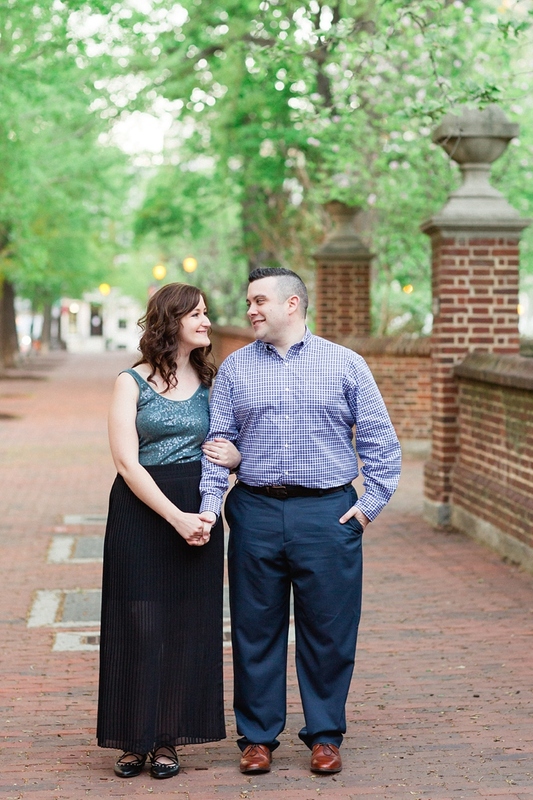 They currently live near Lancaster, but Steve is from the Philly area so they’ve spent many date nights in the city. We photographed mostly around Washington Square Park which is charming. Before our trek back to Lancaster, Kait and Steve treated me to authentic Mexican food….so generous of them! They light up when they look each other and are just a joy to be around! This mosaic wall is too fun! It's those in between moments that make me melt!